For the millions of readers who love Ayn Rand’s novels and who seek to understand her revolutionary philosophy of Objectivism, there has not been available a simple and concise introduction to her thought. 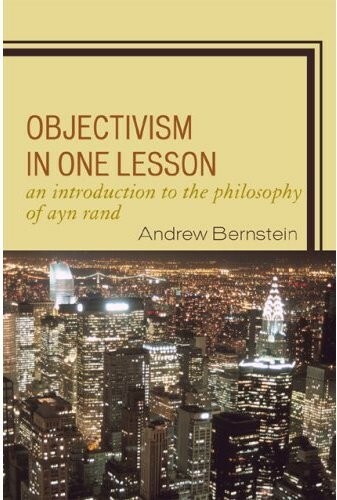 Objectivism in One Lesson is that book. In layman’s terms, using vivid examples, Andrew Bernstein clearly explains the brilliant ideas that animate the conflict and characters of Anthem, The Fountainhead, and Atlas Shrugged. This is the definitive introductory text to the rational philosophy that will transform the world.